It is crucial to follow a well balanced food plan in order to not only lose inches but to also lose weight. We work one on one with our clients to design a personalized food plan that fits each person’s individual needs. We teach our clients the skills to feed their bodies properly during their weight loss program and provide the tools for life-long success. We also teach our clients how to buy and prepare balanced meals so they can fit their weight loss program into their lifestyles. It's never been so easy to look so good!Book your FREE weight-loss session in Chatham, Windsor or London & lose up to 3 inches! 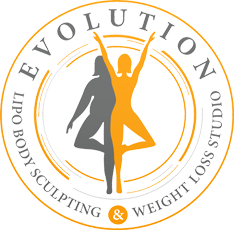 With locations in Chatham & Windsor, Evolution Studios provide state of the art weight-loss solutions where you can expect to lose up to three inches from your waist-line within your first FREE weight-loss session. We are excited and privileged to be the first studio offering these new weight-loss technologies within the Chatham-kent area. Book your free weight-loss session to experience amazing results for yourself. Sign up to receive our newsletter and referral program.